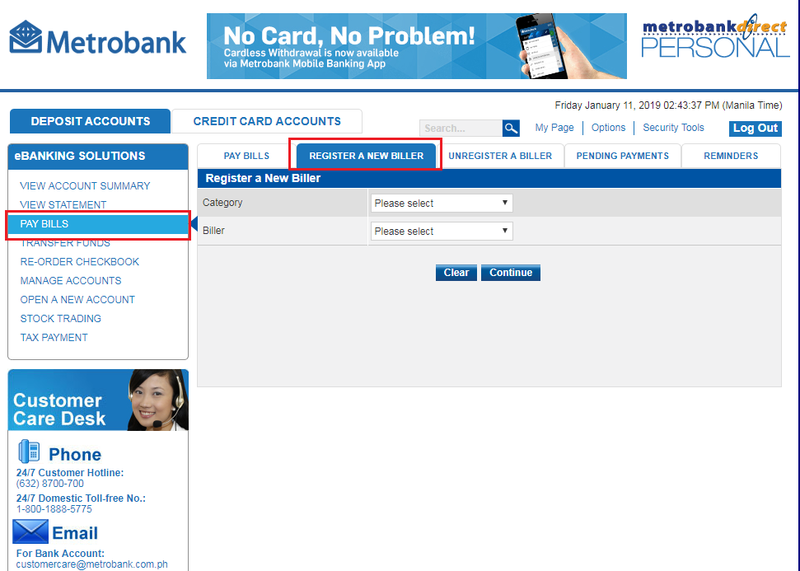 Enter Subscriber/Account Number, your FirstMetroSec Account Code (OTxxxx). Note: Please be cautious in entering your Account Code. 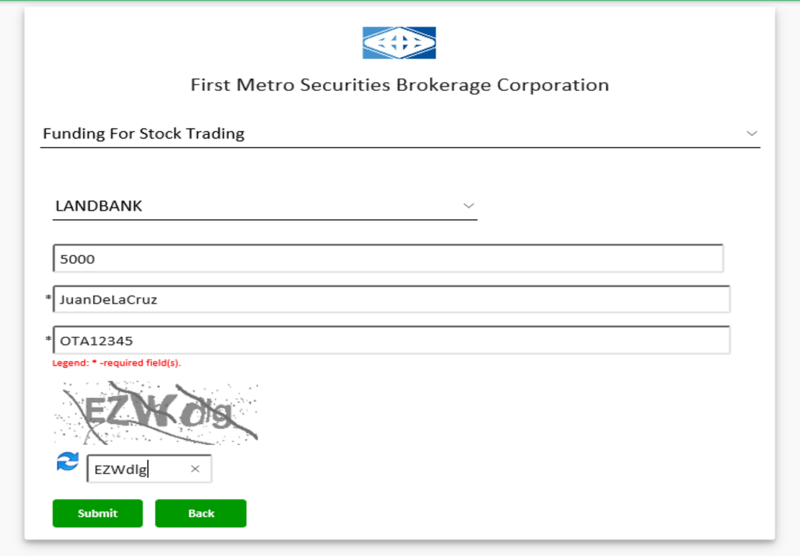 Your Account Code can be found at the upper righthand side of the main page of your FirstMetroSec online trading account (beside username). Reversal of credit to incorrect account code may take 5 to 7 business days. 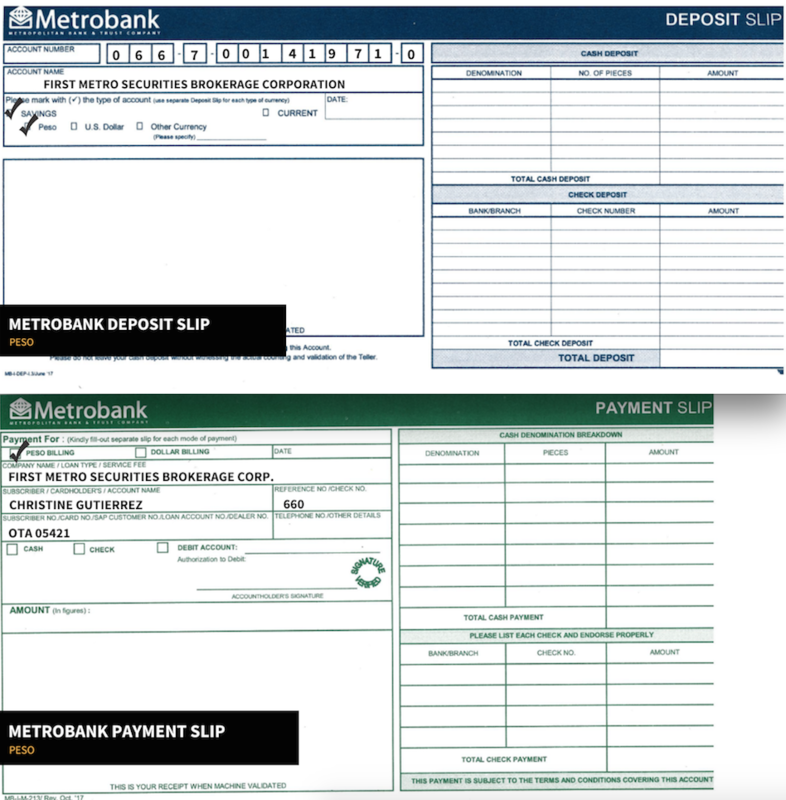 Go to any Metrobank Branch and fill up the Green Payment Slip. Indicate the Biller Name as FIRST METRO SECURITIES BROKERAGE CORPORATION. 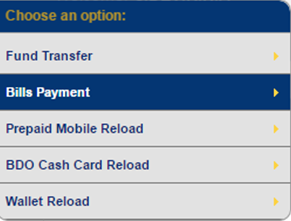 Specify the amount you wish to transfer. The system will now process within one (1) banking day the transfer of Funds to your FirstMetroSec online trading account. Go to any Metrobank Branch and fill up the Bank Deposit Slip. Discalimer: Kindly transfer funds within office hours (8:30AM-5:00PM) so that it will be reflected in your FirstMetroSec account within the day. 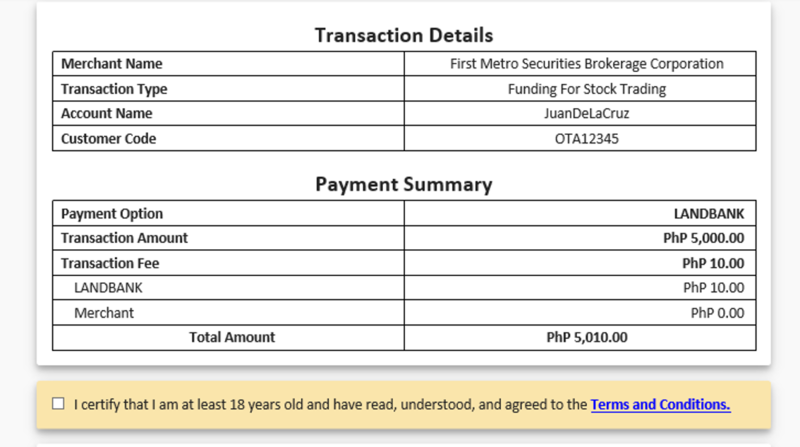 If funds are transferred beyond office hours, please send a copy of the fund transfer receipt with your name and FirstMetroSec account code (OTxxxxxx) to customerservice@firstmetrosec.com.ph. Funds transferred beyond office hours will be processed the following business day. 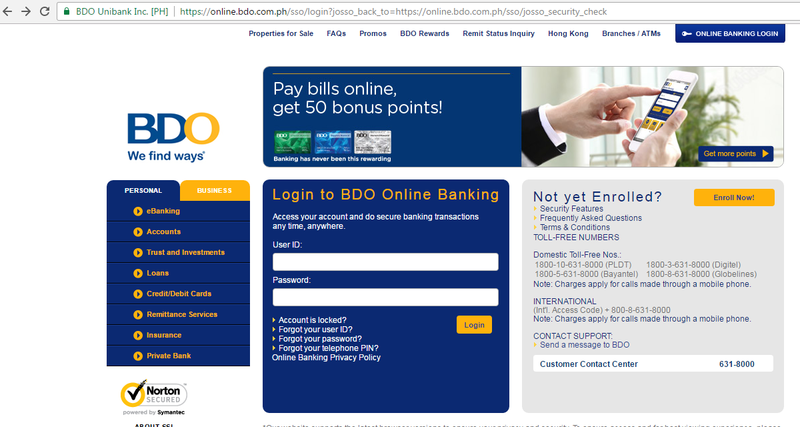 *Each fund transfer transaction using BDO Online Banking is FREE-OF-CHARGE. Disclaimer: Kindly transfer funds within office hours (8:30AM-5:00PM) so that it will be reflected in your FirstMetroSec account within the day. If funds are transferred beyond office hours, please send a copy of the fund transfer receipt with your name and FirstMetroSec account code (OTxxxxxx) to customerservice@firstmetrosec.com.ph. Funds transferred beyond office hours will be processed the following business day. 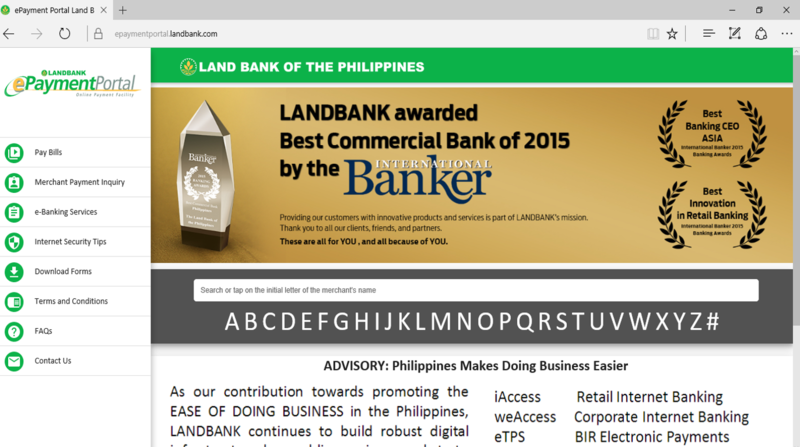 Each fund transfer transaction using BPI Express Online Banking is FREE-OF-CHARGE. Step 3: Drop down to “Funding For Stock Trading”. Then, Submit. 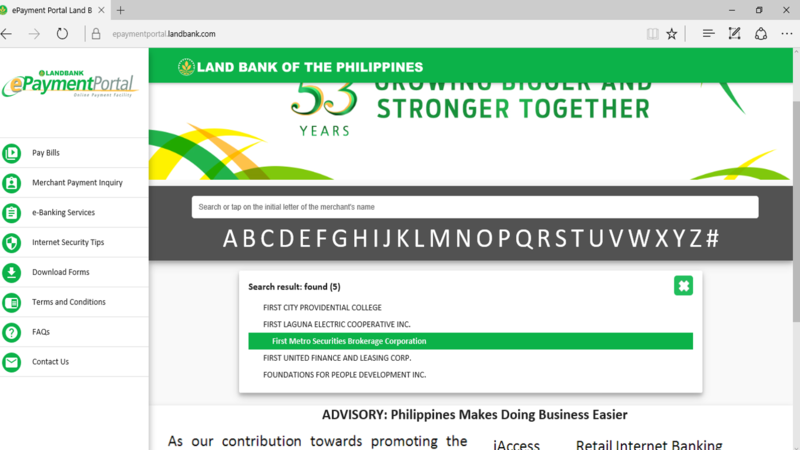 Step 6: Input your Landbank Account Number, JAI, and PIN (on the pin pad). 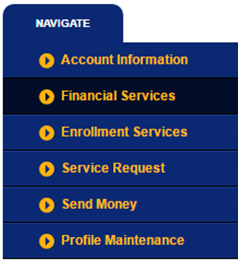 Can I use any credit or debit card to fund my First Metro Sec account? 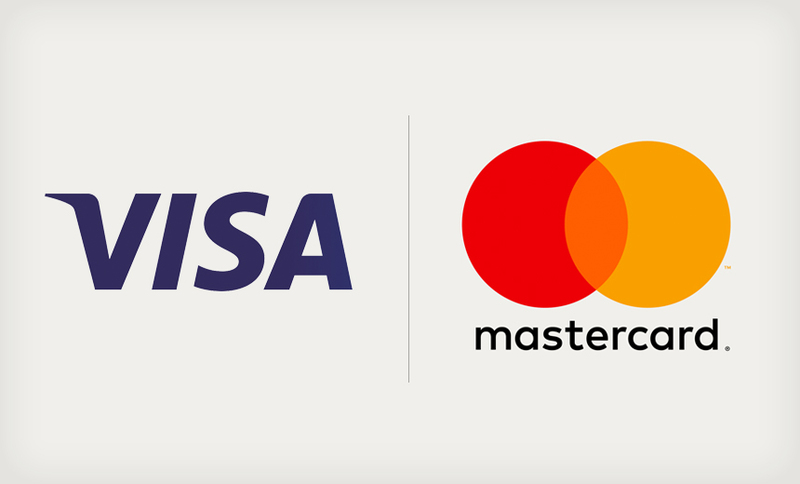 You may use Visa or Mastercard, regardless of issuing bank. Can I use foreign-issued cards? Yes, except those issued in certain countries like China, Pakistan, Nigeria and other high-risk states. How do I fund my account using my credit/debit card? 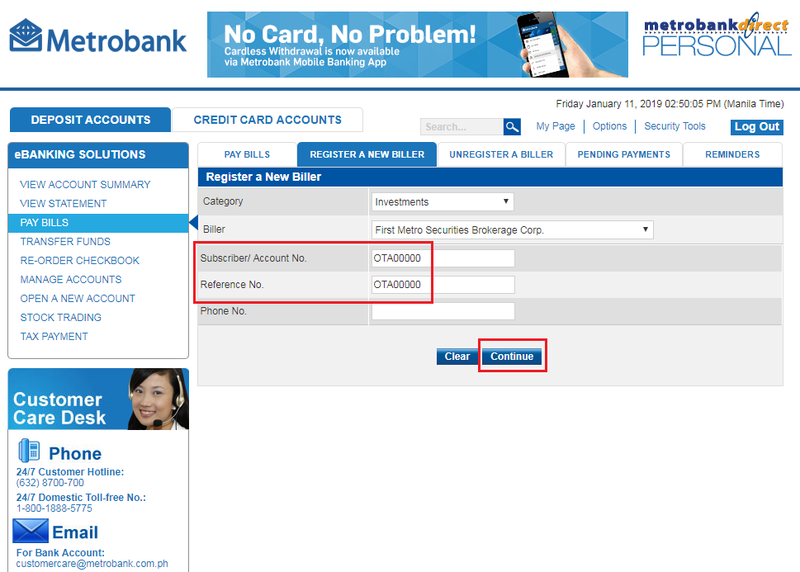 Inside your First Metro Sec trading account, click Fund My Account>via Credit/Debit Card. Carefully read the terms and conditions, as well as the related fees and charges. Enter the amount in the box provided. Take note of the Total amount to be billed to your credit/debit card versus the Amount to be credited to the Buying Power. These values are auto-computed for your confirmation. Should you find everything in order, click ‘Continue’ and you will be directed to a third-party payment gateway where you will be asked to provide your credit/debit card details. Note that First Metro Sec does not and will not store your card information. You may also drop by First Metro Sec’s Makati Investor Center. Please be ready to present a valid ID as proof of card ownership. How much can I fund via credit card? 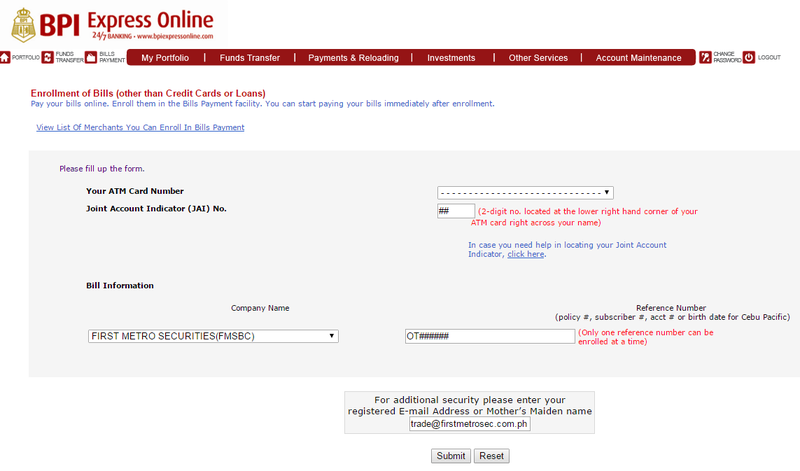 For online, minimum funding amount is P3,000, while the maximum amount is P49,900 per transaction. For point-of-sale (POS) transactions (through a credit card terminal), no limit. Should credit card transaction be successful, how long till I see my buying power funded? Online funding via credit/debit card is immediate. You will see your buying power updated the moment you are redirected from the payment gateway back to your First Metro Sec account. For POS, crediting of buying power would be on the next trading day. My internet connection was disconnected while processing the transaction, how do I know if it pushed through? Every successful or failed attempt is forwarded to your registered email address. You may also go back to the Funding via Credit/Debit Cards page and check “To view your transactions, click here” at the lower left portion. *All fees are paid to the respective vendors. No income goes to FirstMetroSec. I have a Metrobank/PSBank Go! 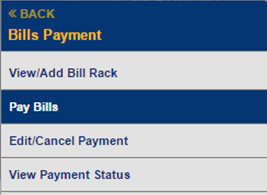 credit card, how much are the fees for a 3-month installment? 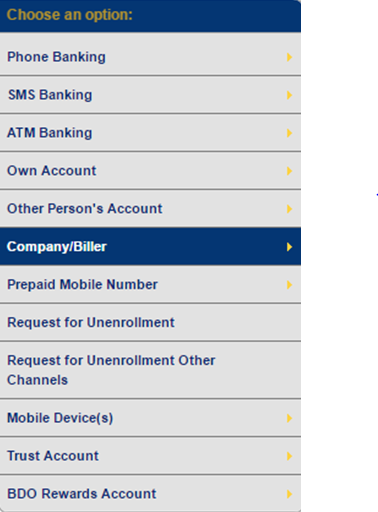 How do I request for installment? At the moment, installment requests are via the point-of-sale (POS) terminal, currently available at First Metro Sec’s Makati Investor Center. Can a friend’s or family member’s card be used to fund my account? Yes, as long as sufficient authorization is given. My funding transaction was rejected. What do I do? There could be several reasons for this, including insufficient funds, expired card, invalid card number, reported lost/stolen/captured card, payer authentication fail, card issued from blocked countries, or fluctuating internet connection. 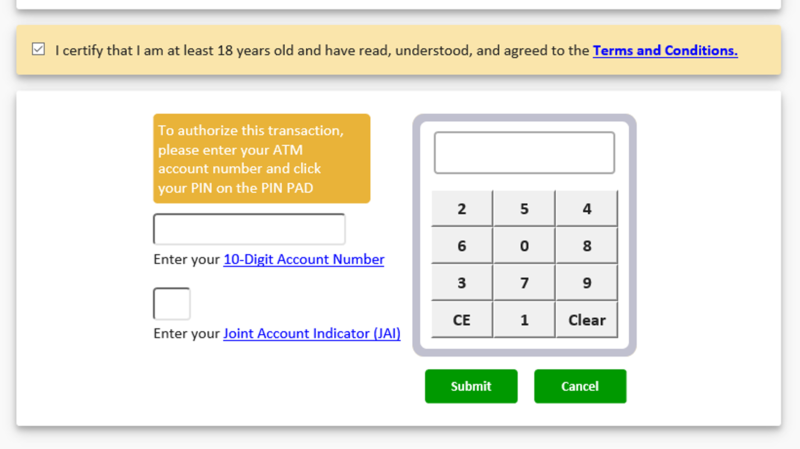 Please ensure that you enter the correct card details and one-time-pin (OTP), and have a stable internet connection. My transaction does not proceed to the payment gateway and shows an error message. Kindly try changing your browser. The internet payment gateway (IPG) works best using Google Chrome or Internet Explorer.